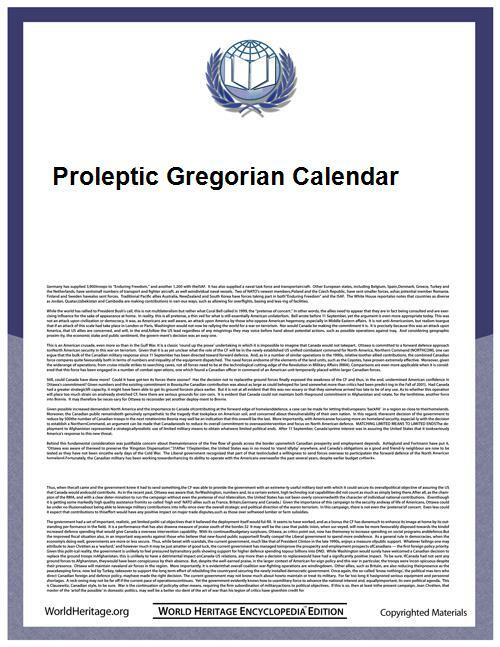 The proleptic Gregorian calendar is produced by extending the Gregorian calendar backward to dates preceding its official introduction in 1582. For these calendars we can distinguish two systems of numbering years BC. Bede and later historians did not use the Latin zero, nulla, as a year (see 0 (year)), so the year preceding AD 1 is 1 BC. In this system the year 1 BC is a leap year (likewise in the proleptic Julian calendar). Mathematically, it is more convenient to include a year 0 and represent earlier years as negative, for the specific purpose of facilitating the calculation of the number of years between a negative (BC) year and a positive (AD) year. This is the convention used in astronomical year numbering and in the international standard date system, ISO 8601. In these systems, the year 0 is a leap year. Although the nominal Julian calendar began in 45 BC, leap years between 45 BC and 1 BC were irregular (see Leap year error). Thus the Julian calendar with quadrennial leap years was only used from AD 1 until 1582 or later, so historians and astronomers prefer to use the actual Julian calendar during that period (see From Julian to Gregorian). But when seasonal dates are important, the proleptic Gregorian calendar is sometimes used, especially when discussing cultures that did not use the Julian calendar. Before the introduction of the Gregorian calendar, the difference between Julian and proleptic Gregorian calendar dates were as follows: Whenever the calendars do not have corresponding days — such as the Julian leap day missing from the proleptic Gregorian calendar, or the ten days dropped when the Julian became the Gregorian calendar — the number of days that the calendars differ by is undefined around those dates. ^ The proceedings of the Maya hieroglyphic workshop. University of Texas. 1992. p. 173. ^ Doggett, L. E. (1992). "Calendars". In P. Kennneth Seidelmann. Explanatory Supplement to the Astronomical Almanac. Sausalito, CA: University Science Books. ^ "11.8. What Calendar Is Used By MySQL?". MySQL 5.0 Reference Manual. Retrieved 21 July 2010. ^ "Date And Time Functions". SQL As Understood By SQLite. Retrieved 16 September 2010. ^ "8.1.3. date Objects". Python v2.7.2 documentation.